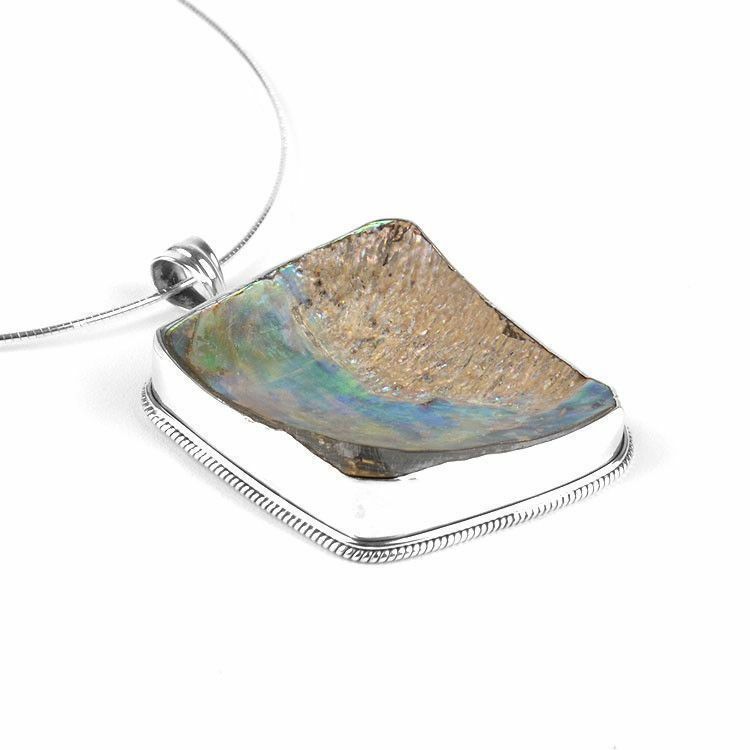 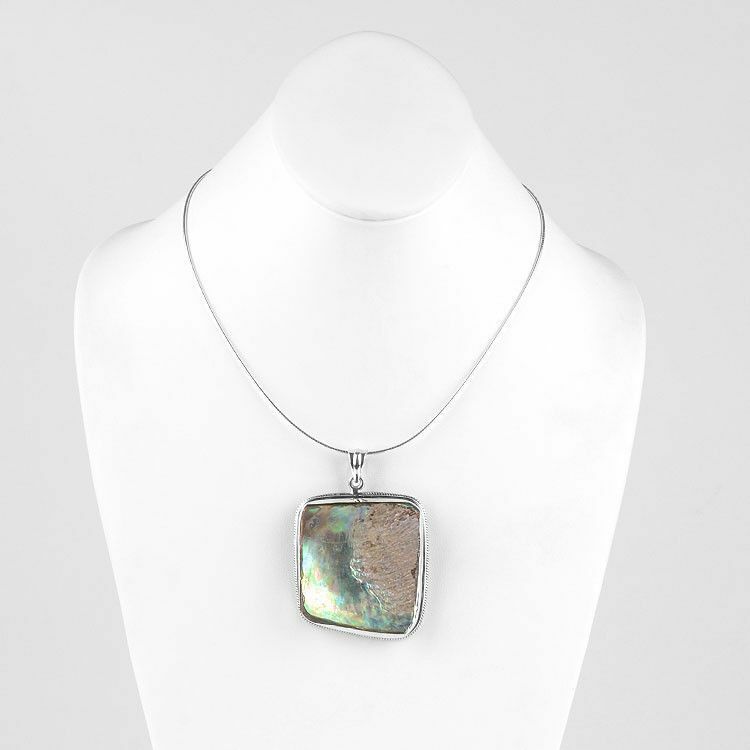 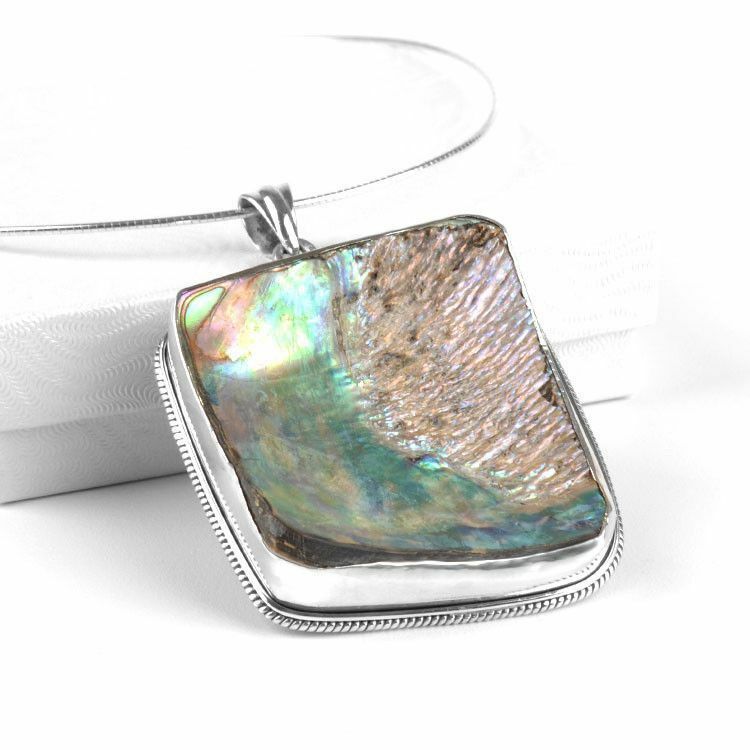 This elegant and genuine abalone gemstone pendant is a remarkable one-of-a-kind jewelry piece. 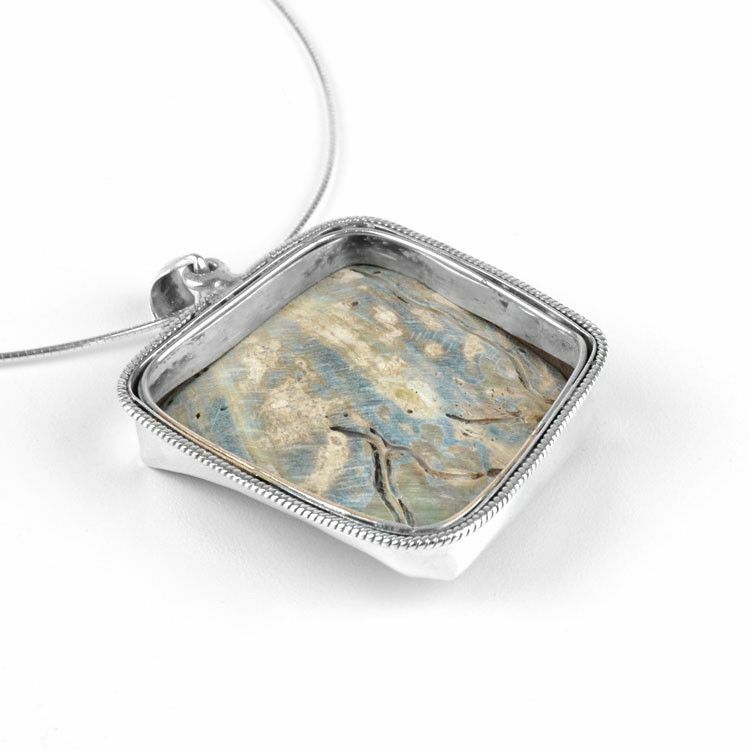 It is set in sterling silver and has a stunning natural appearance with half of the stone being very luminescent and the other half being a bit more rough. 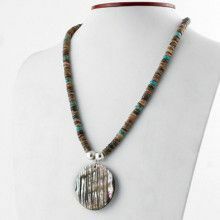 An 18" long sterling silver neck wire compliments the pendant and completes this unique shape gemstone necklace. 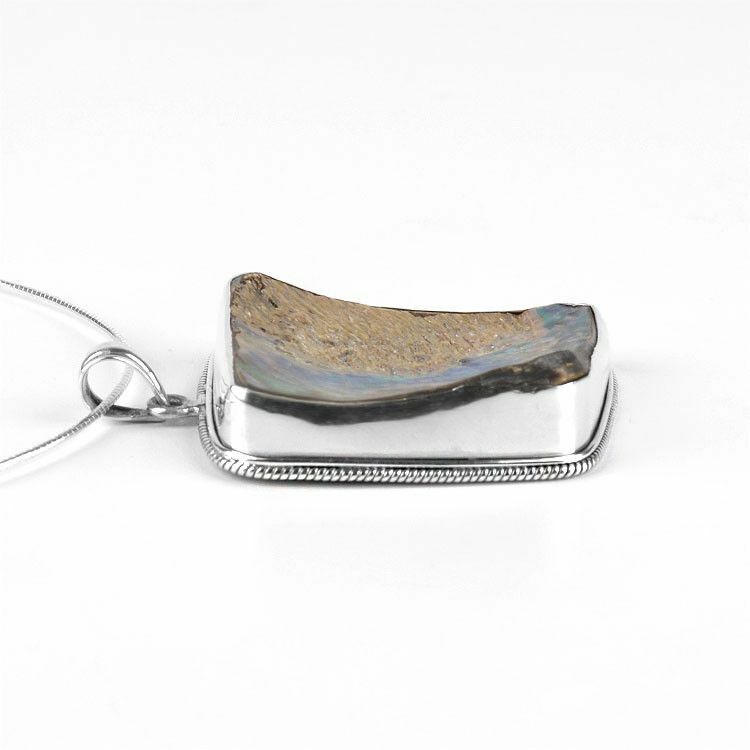 Total length of the pendant (including bail) is nearly 2 3/4" long and the width is nearly 2" in size. 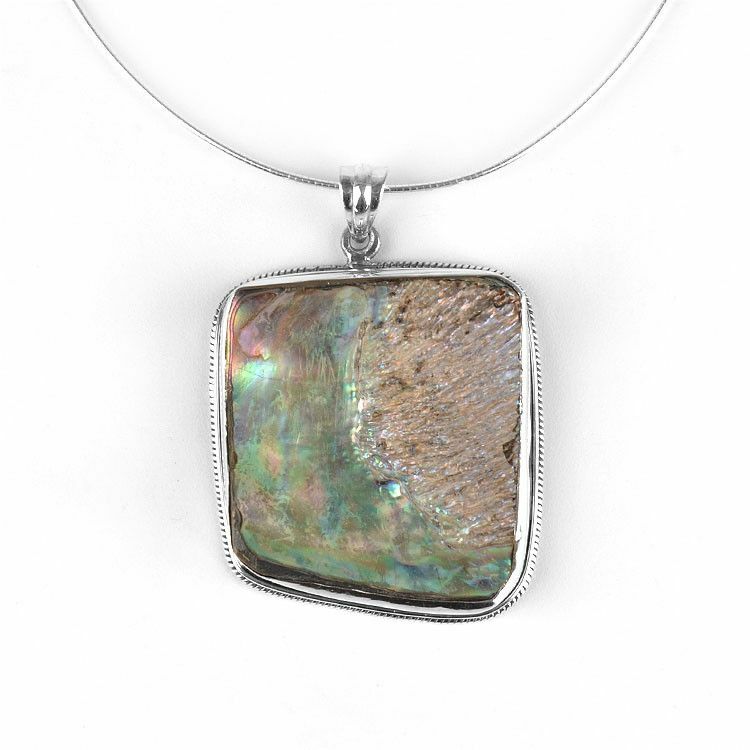 The thickness of the pendant varies and is between 1/4' and 1/2" thick.